Colorado Ski Country USA Double Diamond Award Winners Top Row L-R: Leif Eggert, Winter Park Resort; Dustin Ford, Copper Mountain; Sterling Bommarito, Purgatory Resort; Bob Reich, father of Jack Reich, Steamboat Springs Winter Sports Club; Sean Mase, Arapahoe Basin Ski Area. 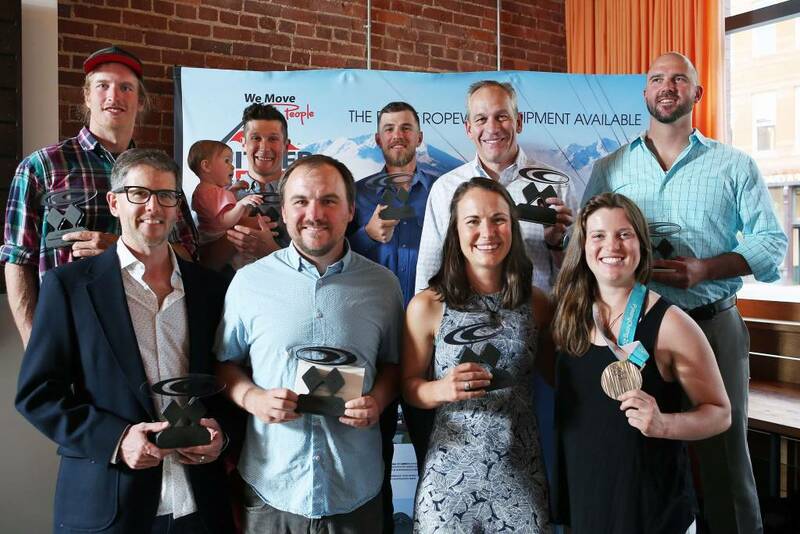 Bottom Row: Eric Jorgensen, Telluride Ski Resort; Ryan Latham, Aspen Snowmass; Dana Antonio, Steamboat Resort; Award Presenter Olympic Bronze Medalist Arielle Gold. Double Diamond Award recipients range from industry veterans to up-and-coming winter athletes and terrain professionals. Double Diamond Awards are given in the categories of: Terrain Master, Slope Groomer, Snowmaker, Food & Beverage, Customer Service, Instructor, Patroller, and All-Star Athlete. The reception not only allows industry professionals the opportunity to network and relax, but gives them a chance to recognize our industry's top employees and applaud their peers' achievements. Cocktails and appetizers will be served. Following the Double Diamond Awards guests are encouraged to enjoy dinner on their own.